Wiz Khalifa is probably one of the most forgettable figures in rap history. In many ways, he’s simply Diet Snoop Dogg. Though it feels like he’s supposed to be a kind of spiritual successor to Snoop, Wiz has never had a record that was particularly interesting enough to listen all the way through. But, now, there’s this one that has twenty-five songs on it for some reason, as if we haven’t suffered enough lately. And I demand to know what that reason is. I understand the desire, especially within rap, to want to stay relevant by keeping your sound current, but that doesn’t mean you should be chameleon blending into the now overdone trend of trap music. Putting your own spin on something doesn’t mean getting trap beats and rapping over them while being you. As an artist, you’re supposed to reinvent or reinterpret these trends in a way that will fit your aesthetic and keep you from dissolving into a trend. 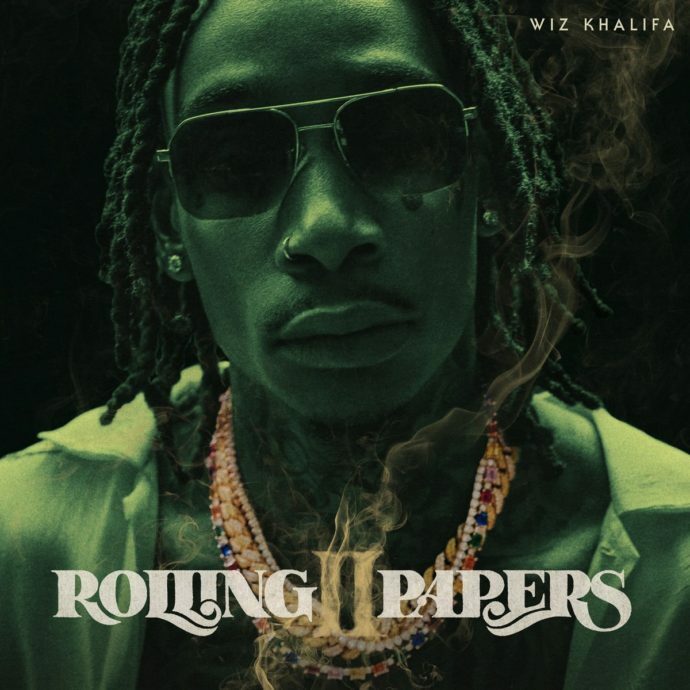 Rolling Papers 2 equalizes Wiz Khalifa with the likes of Rich The Kid. He is just a basic, beat riding trap crooner. Admittedly, some of these songs manage to hit somewhere near their mark, like “Fr Fr” which displays some of the better flows and melodies on this slog of an album. However, it’s not good to have a handful of decent songs on a twenty-five track album. That’s the musical equivalent of eating an apple alongside a troth of greasy fast-food. Yes, you have something good there, but does it really matter at that point? An album shouldn’t be a needle in a haystack contest to find some decent songs. It should be a crop of cultivated, well-executed ideas. If it weren’t for the constant weed references, most of these songs feel like they could have been made by anybody. Though originality is becoming increasingly rare amongst this wave of trap rappers, Wiz Khalifa was at such a tipping point that this album seemed like it could make or break him. “See You Again” feels like it came so long ago, and it’s doubtful that the reason that song did so well was because of Wiz Khalifa’s verses. So, this album had to have something to it to make him worth the time. But it doesn’t. There’s nothing unique here. Wiz Khalifa’s potheadery is only so entertaining, as exemplified by the hilariously mediocre “420 Freestyle.” While this brand that he has established works a little on “Gin and Drugs,” talking about weed isn’t unique or fascinating. Wiz Khalifa’s music is like a stoner movie that’s filled with constant weed puns. I can’t imagine that even someone who is high would like it.